Can you find the hidden images in this painting? then look for the hope, healing, life and prayer. 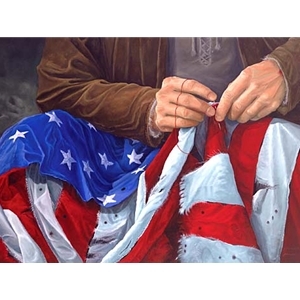 Who is mending the flag?